St. Peter's congregation is a gathering of people from the small towns of Bainbridge, Afton, Sidney, Guilford and Masonville. An open, affirming and diverse group, we have one family friendly service at 10 a.m., with music. We have a small Sunday School, which we are working on growing, with a class for pre-school/kindergarten, a group for 8-12 year olds, and an adult group. These groups meet at 9 a.m. They share a light snack/breakfast at 8:45 before the beginning of their programs. Our historic church and large modernized rectory are located in the heart of Bainbridge on the town green. Our location allows us to provide a very visible presence in the community. 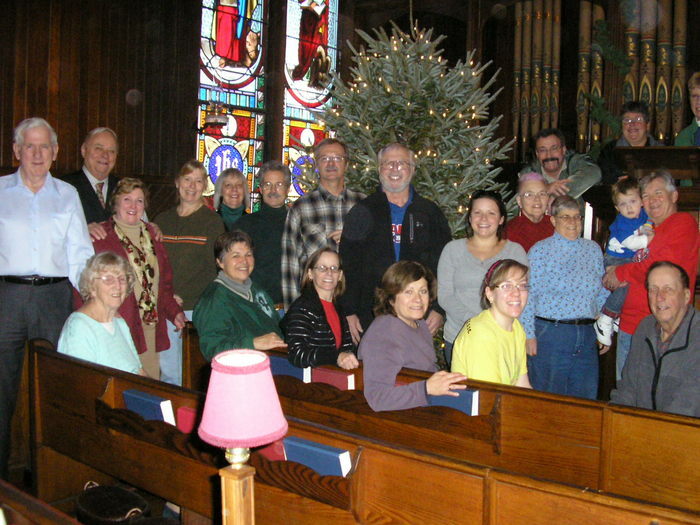 In addition to regular Sunday worship, St. Peter's hosts AA, NA, AARP Driving class and other community group meetings. We participate in the Bainbridge Council of Churches. The Council of Churches takes turns gathering the community for special services -- Thanksgiving, Memorial Day, Holy Week, as well as hosting High School Baccalaureate and Vacation Bible School. Members of St. Peter's also work with the council to unload trucks, pick up bread, staff/stock the local food pantry and work at the Saturday Soup Kitchen. Watch for news about a special "Family Advent Program" this year.